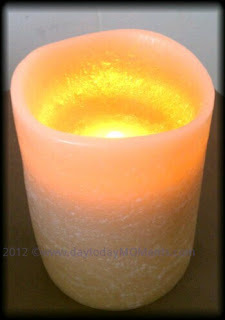 One of the items buzzed about most during BlogHer'12 was the beautiful Energizer Flameless Scented Wax Candles. I love candles, but don't we all?! But as a mom being so busy, I fear leaving a candle on or a child knocking it over so I don't use it as much as I want to, but with these I don't have to worry. Energizer Flameless Wax Candles are available in pillars, votives, tea lights and glass jars, sizes ranging from 3" x 4" to 4" x 8." These candles were displayed beautifully at the BlogHer'12 booth, realistic inviting flicker creating the warm inviting atmosphere we look for in traditional candles. I would have not known they weren't real if they didn't tell us. 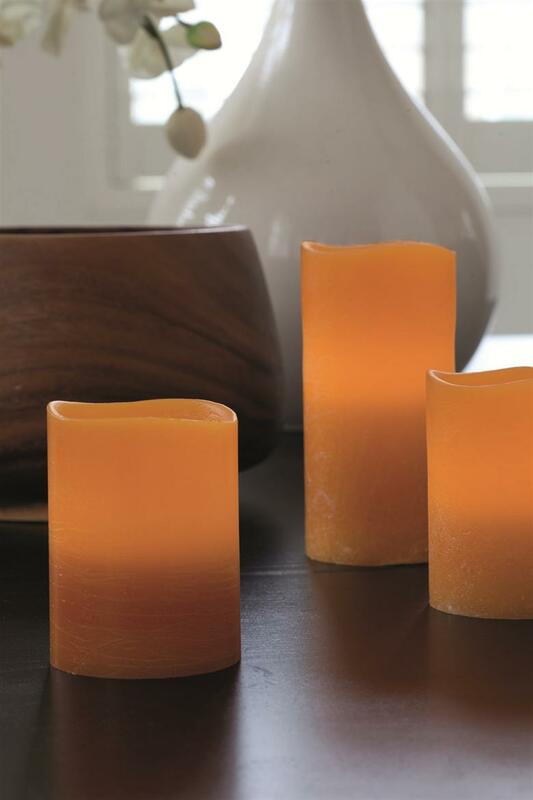 Real wax melted edges that are scented with fragrant scents such as honey vanilla, driftwood, pumpkin spice, vanilla and pomegranate passion. Also available in different colors! With the light scent they also make a perfect night stand addition, works great as a night light. I have used it to read my son a bedtime story at night, it's the perfect light, and safe to have on the bed if needed! There's also a beautiful seasonal collection that will be great for family gatherings to display in the background or right as a centerpiece on the family table, featuring embossed snowflake and floral designs, along with red glitter, white glitter and silver metallic pillars. 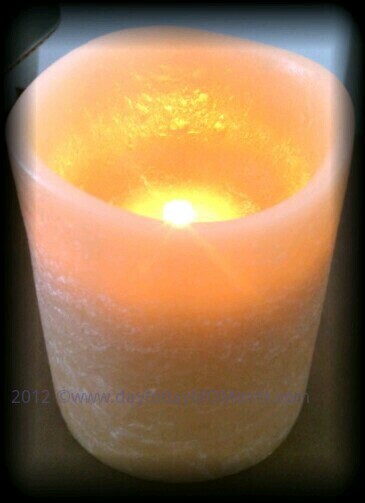 All these Flameless Wax Candles are now available on Amazon.com, you can also find more information and photos here. 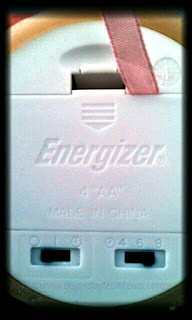 Enter to win the 3" x 4" Taupe Pillar with Honey Vanilla scented candle, along with a 4-pack of Energizer Max AA batteries containing Power Seal technology! Enter below using the Rafflecopter! *I received the same giveaway item but no other compensation was provided. All opinions are my own.